It doesn't matter what with. Yes, I'll have that, please. 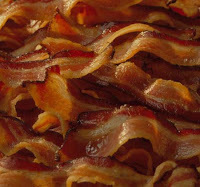 of bacon sounds like applause. food they wrap it in bacon.